My name is Craig, together with my brother Chris, we have been making cider for years for friends and family, all from apples grown locally around the historic orchard county of Armagh. In 2008 I decided to take a big step and become an artisan cider maker, bringing our handcrafted Armagh cider to the public in the form of Toby's Handcrafted Cider. Our artisan cider is hand crafted from 100% apples, all grown within walking distance of the farm located in the heart of Orchard County, Armagh. The cider is handcrafted using traditional methods which have been used for hundreds of years. From apple tree to bottle, our craft cider is made completely within the historic Orchard county of Armagh. 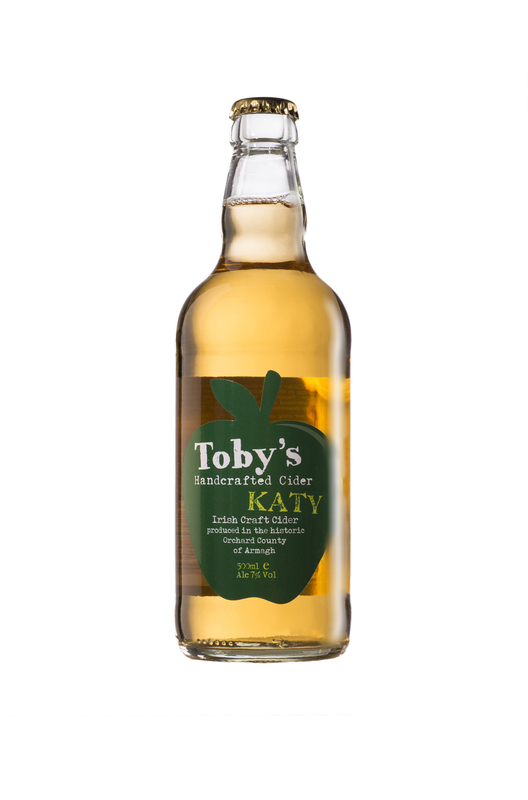 Toby's Handcrafted Cider is a completely natural product full of flavour and goodness, we do not add any artificial sweeteners or preservatives, and we do not use any concentrates. Instead we rely on the natural goodness and flavour in our locally grown Northern Ireland apples. With a very light carbonation which helps lock in the natural flavour of the apples, and provides a delicate fizz. The cider may at times retain small particles of the original apple, which will settle in the bottle when stored, this very traditional technique will in no way detract from the superior quality and taste we are sure you will enjoy. When we first started making craft cider many people suggested that we could sell our product. We thought this would be a great way to make some money for charity. We have been raising money for a number of years for the Toby Fund, which was set up to raise funds to help sick children and the Royal Belfast Hospital for Sick Children. 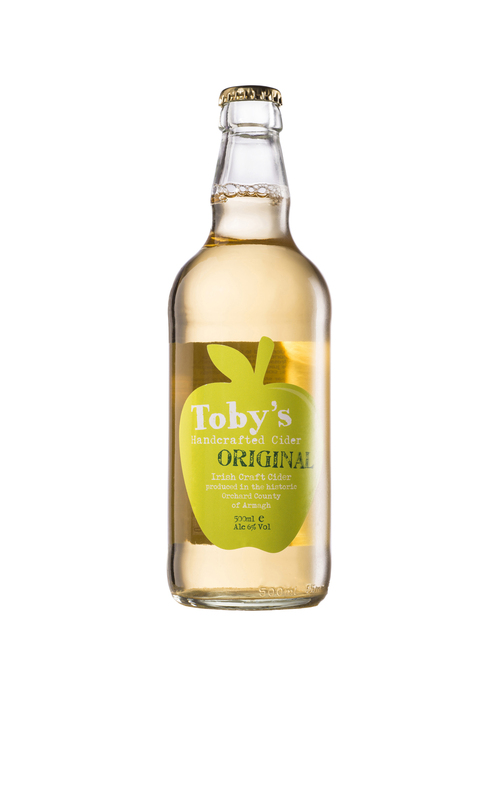 We hope to continue with this, and have pledged that a percentage from every bottle of Toby's Handcrafted Armagh Cider sold, will be added to the Toby Fund. All content by Toby's Cider. © Toby's Cider 2011, 2018. Valid CSS & XHTML.